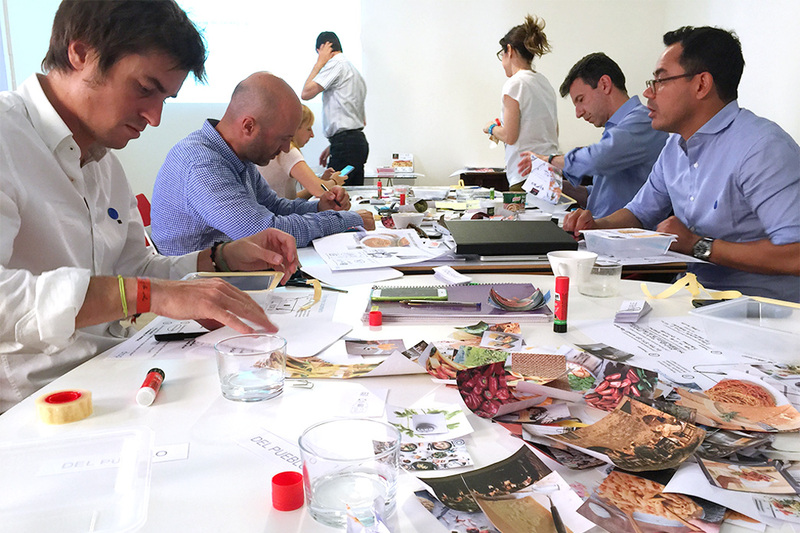 We structured and lead the ideation process for the new product category through co-creation workshops based on insights from ethnographic research. 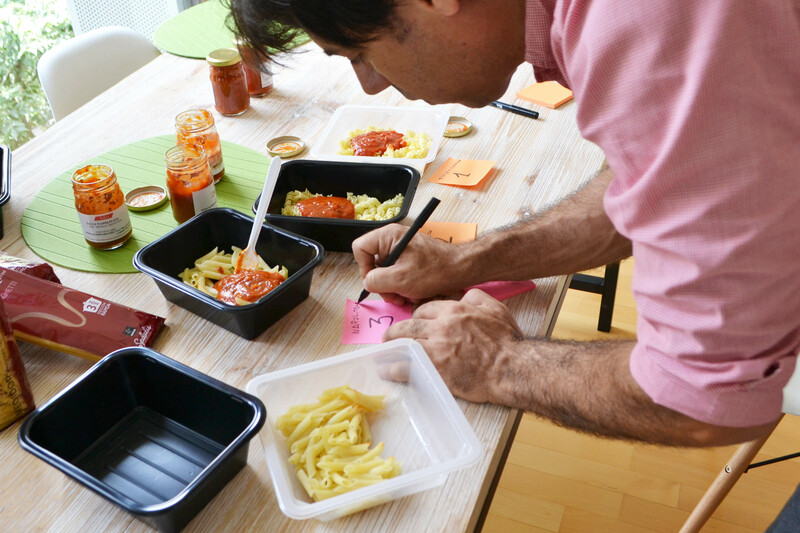 A tray with pasta and sauce, made with 100% natural ingredients and including also a colander. You add water and boil your pasta in 5 minutes in the microwave, to enjoy a freshly made full-meal without dirtying anything. Drop has structured and lead the ideation process through co-creation workshops based on insights from the ethnographic research, aligned with the vision and strategic paths from Pastas Gallo. We participated in the new category definition, product roadmap and design strategy and positioning. 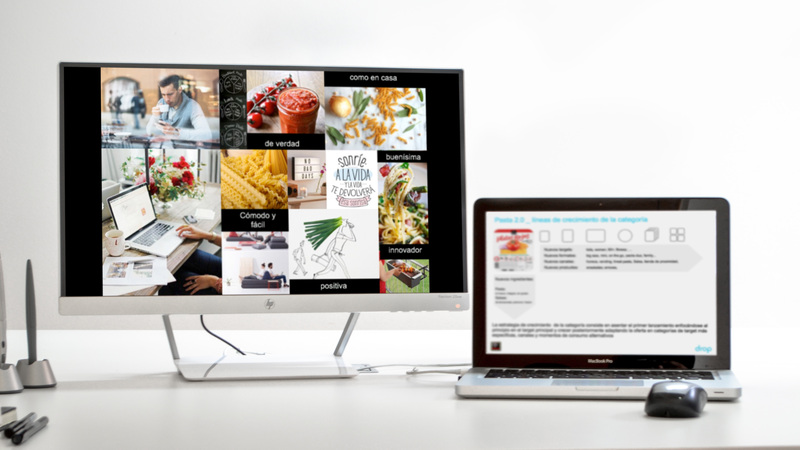 In a tight collaboration with Pastas Gallo and its network of partners, Drop has participated in the definition of this new product category, designed the product roadmap and specified each concept based on the strategic, positioning, communication and technical criteria. Finally, we have created the documentation and designed the hand-over protocol of the project to start the marketing mix phase of the project. 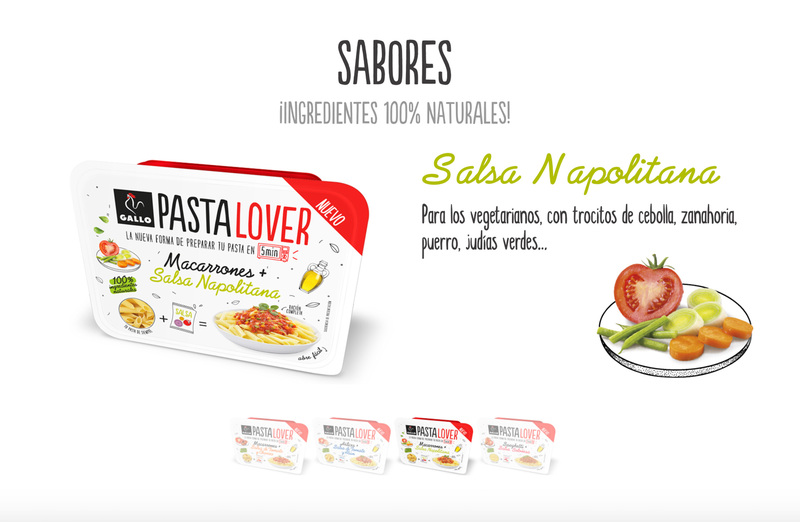 See what Pasta Lover offer.